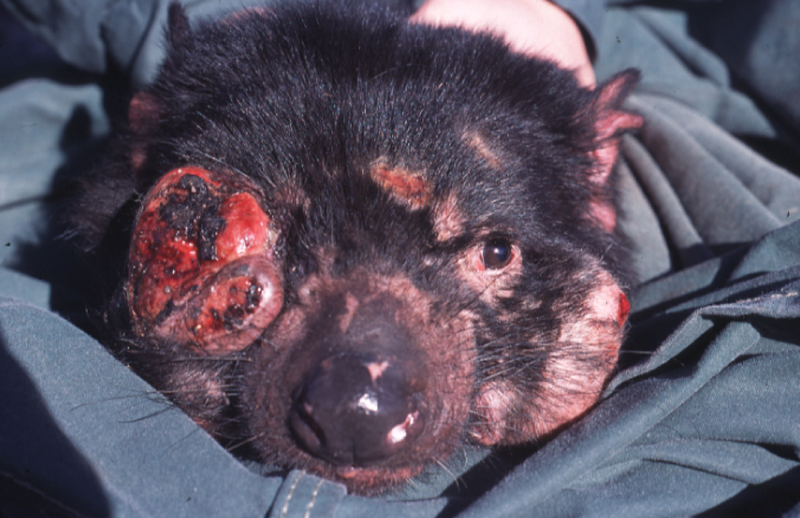 Tasmanian Devil Facial Tumor Disease (DFTD) has ravaged the world’s largest carnivorous marsupial since it emerged in 1996, resulting in a population decline of over 90%. Conservation work to defeat the disease has including removing infected individuals from the population and new research explains how this gives us a unique opportunity to understand how human selection alters the evolution of cancerous cells. DFTD is an asexually reproducing clonal cell line, which during the last 16 years has been exposed to negative effects as infected devils, approximately 33% of the population, have been removed from one site, the Forestier Peninsula, in Tasmania between 2006 and 2010.